Over the summer Novartis Animal Health commited to donating free Interceptor (heartworm and intestitnal parasite preventative) to the rescue of KAH’s choice. We chose Maryland Bichon Frise Rescue (MBFR) for the outstanding and compassionate work they do for the local (and sometimes not so local!) Bichons they take in. The terms were this: for every 12 months of Interceptor sold to a client Novartis would donate one month of Interceptor to MBFR. The client also received a $6 mail-in rebate which they could chose to redeem or opt to donate an additional month of Interceptor to MBFR. Thanks to you- the clients of KAH- a total of 84 months of Interceptor are being donated to Maryland Bichon Frise Rescue!! Thanks to the clients and to Novartis for your help in raising needed supplies for a wonderful cause! This entry was posted in Bichon Rescue, community, Donation, Interceptor, Novartis on August 29, 2010 by yourfriends. This entry was posted in BP Oil disaster, pet relinquishments, The New York Times on August 26, 2010 by yourfriends. Most people handle pet food without properly washing their hands, pet bowls or storing properly. 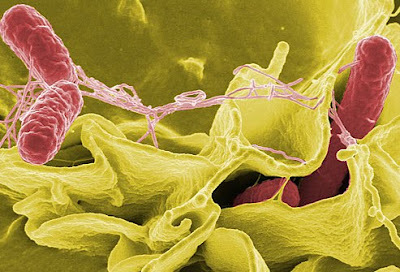 Click on the link below to learn more about and reduce the potential risk of salmonella infections link to handling dry pet food. This entry was posted in salmonella, WebMD on August 23, 2010 by yourfriends. This entry was posted in Baxter, in memory on August 20, 2010 by yourfriends. Somerford House and Place at 2100 Whittier Drive in Frederick is having a Strut Your Mutt walk, judging contest and pet food drive on Sat, August 21st from 10:00-12:00. 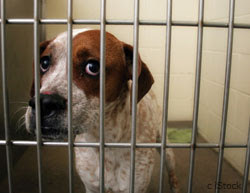 Food collected will be donated to Frederick County Animal Control. Go to www.somerfordhousefrederick.com for more information. This entry was posted in FCAC, Strut your mutt on August 17, 2010 by yourfriends. Dogs are allowed off-leash on the beach and within fenced areas, but must be on a leash at all times outside the fenced areas. Dogs on a leash no longer than 6 feet are allowed in the Maryland portion of the National Seashore, but are not permitted in the backcountry, on nature trails, on the lifeguard-protected beach, the State Park and north of the State Park to the Ocean City Inlet, at the Chincoteague National Wildlife Refuge and the entire Virginia portion of Assateague Island. (http://www.co.saint-marys.md.us/recreate/facilities/elmsbeach.asp) Located on the Chesapeake Bay. Dogs on a leash are allowed on the beach. Located on the Chesapeake Bay. Dogs on a leash are allowed in the park which includes a sandy beach. Dogs on a leash are allowed on the beach only during the off-season, from Oct. 1 to April 30. Dogs on a leash are allowed in the park. Visitors may take their dogs swimming at Matapeake Beach as long as the pet is under voice command control. This entry was posted in beaches, dog friendly on August 14, 2010 by yourfriends. This entry was posted in debarking, surgical ban, The New York Times on August 11, 2010 by yourfriends. 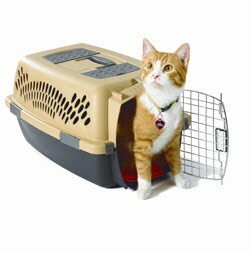 How do I get my cat into the carrier! 1. Place the back end of the carrier against the wall with door open. This will help keep the carrier from sliding around. 2. Scoop up your cat. If your cat runs and hides as soon as the carrier is in site, you may want to feed a meal or treat in a confined area like a bathroom. Then retrieve carrier and place up against wall near confined area. 3. Slide your cat into carrier backwards. This is the key! They are less likely to resist if they don’t see where they are going. It is best to gently scruff your cat with one hand and support under body with your other hand. They should just slide right in. Quickly shut the door and you are ready to go! P.S. This works very well for rabbits too. They are less likely to jump and injure themselves. This entry was posted in cat carrier, safety on August 8, 2010 by yourfriends. 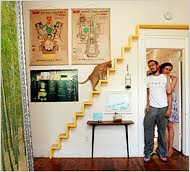 This entry was posted in pet friendly, The New York Times on August 5, 2010 by yourfriends. Steve and Mary Ferguson, pet parents to “SweetPea”, were driving home from a visit to Florida when the saw a roadside fruit stand in Georgia. SweetPea insisted that they stop to get something for her friends at Kingsbrook. A big thank you to SweetPea, Steve and Mary for the wonderful peaches. This entry was posted in peaches, Sweetpea on August 5, 2010 by yourfriends.